Everyone at RPS has their niche, they tell me as I start my first day. We’re hyper-specialised predators feasting upon our own corners of the gaming kingdom. Clearly, I suggest, a new adaptation of a Games Workshop wargame would be news for Kieron to sink his grooved fangs into. They nod sagely and turn back to their gilded plates, then remember. Ah no, another mutters, it’s for the flaying claws of Quinns. I wait patiently. Say, new kid, they hiss, what do you know about toy rats? 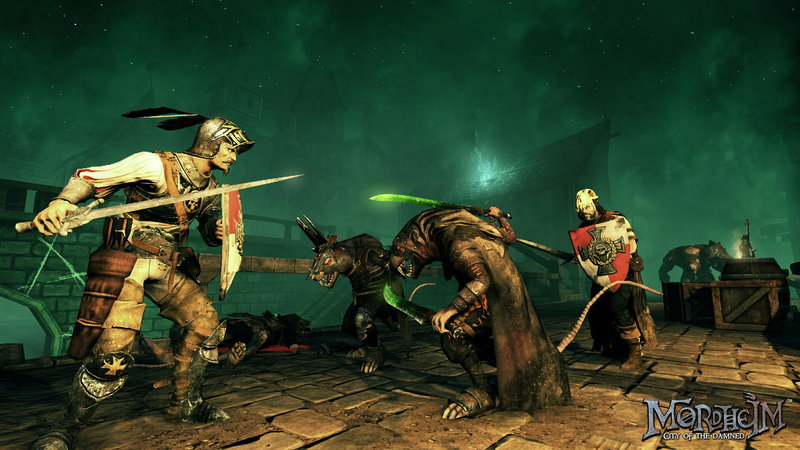 Mordheim: City of the Damned, then, is the latest of publisher Focus Home’s licensed adaptations of vintage tabletop wargames–Games Workshop’s Mordheim, in this case. Announced today, it’s due to launch later this year. Released in 1999, Mordheim saw various Warhammer Fantasy factions fighting for control of the eponymous smashed city and the magical wyrdstone scattered across it by a crashing comet. On top of the typical dice-and-rulers battling action, it boasted RPG-y bits which saw units levelling up and gaining shiny new equipment across campaigns. Which is broadly the shape of this adaptation too. Expect both a single-player campaign and multiplayer. City of the Damned is the first game from fledgeling Canadian developer Rogue Factor, who are something of a mystery really. I never played Games Workshop games myself, mind, but always admired the miniature battles unfolding in my local gaming shop. Oh how I would chortle, knowing that I wasn’t wasting money on childish toys but rather investing wisely in Magic: The Gathering’s paper dragons. Come the apocalypse we’ll form an uneasy alliance, pressing their figurines into arrowheads and burning my paper to cook our kills. Tagged with Focus Home Interactive, Games Workshop, Rogue Factor, Warhammer, Mordheim: City of the Damned.